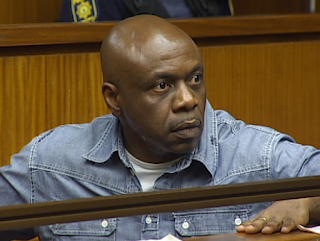 A Federal High Court sitting in Abuja Thursday admitted in evidence the alleged confessional statement made by the second defendant, Obi Nwabueze, in the ongoing trial of Charles Okah, the alleged mastermind of the Independence day bomb blast in Abuja in 2010. Obi, in his statement at the DSS, had allegedly linked the first defendant (Okah) to the Independence day bomb blast which he later denied, claiming that his statement was obtained under duress. Justice Gabriel Kolawole, while ruling in the application, held that the defendant failed to prove the claim that his statement was made under duress or under any form of inducement by the DSS. Kolawole while noting that the statement was earlier admitted in evidence during the trial of one of the defendants (Edmond Ibiware), said the defendants never complained of been tortured while in custody, adding that the only complained made then was that their room was too cold due to the air conditioner in use. The judge, while also dismissing the claim that the defendant were denied access to their lawyers, stated that in the extra-judicial statement of the defendants they had complained that each time they met with their lawyers officials of the DSS were always at a hearing distance to listen to their conversation. Justice Kolawole held that the allegation of torture by the defendant was not only insignificant but self-serving. “It is my decision that the extra-judicial statement made on October 18, 2010 is admissible and hereby marked as exhibit 2D and 2D,” he ruled. The case was adjourned till July 5 for continuation of trial.